Thanks to Louise’s hard work, Rochester is now leveraging our expertise in optics, photonics, and imaging science to lead the nation in innovation and high-tech manufacturing. Louise’s work bringing the national manufacturing hub to Monroe County began more than three years ago, when she started organizing local stakeholders in Rochester and Washington, DC. She brought federal leaders to Monroe County to show them how Western New York is leading the country in using advanced manufacturing to create good-paying jobs. Knowing Rochester had the expertise to lead a national Photonics Manufacturing Institute, Louise led a years-long national effort to convince the Obama Administration to commit the necessary resources for a national photonics hub. Louise then led the national effort to convince the administration to make Rochester the home for this one-of-a-kind manufacturing center. The new photonics hub that Louise secured for Rochester will create thousands of jobs in our region and ensure that Western New York continues to lead the world in advanced manufacturing. 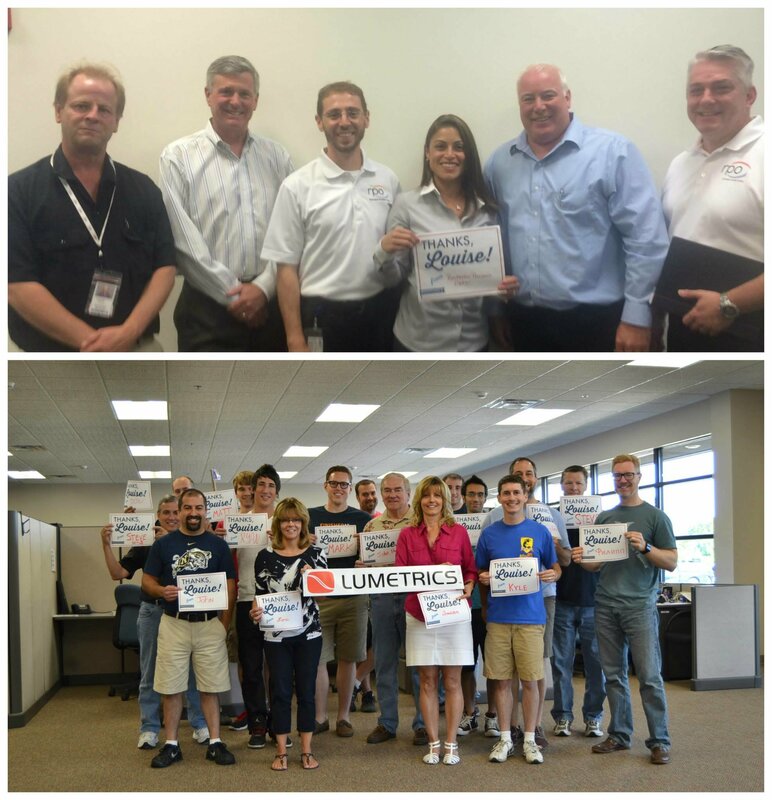 Summer 2012 – Louise convened representatives from industry and academia in Rochester to develop a strategy for obtaining federal grants to bolster optics and the photonics industry. 2011: Louise Slaughter secured $62.5 Million in funding for the laser lab at the University of Rochester. 2014: Louise secured $500,000 to develop the New York Photonics Manufacturing Initiative. 2014: Louise secures access to $1.3 billion in development support for local high-tech innovators. October 2014 –Thanks to Louise’s push, the Obama Administration authorized an Institute for Manufacturing Innovation focused on photonics, and Louise led Rochester’s entry, competing against consortiums from across the country. June 2014 – Louise secured the Innovation Communities Manufacturing Partnership, helping the community access over $1.3 Billion in economic development funds. October 2014 – Thanks to Louise Slaughter’s push, the Obama Administration authorized an Institute for Manufacturing Innovation focused on photonics, and Slaughter led Rochester’s application. January 2015 – New York was selected as a finalist to compete for a one-of-a-kind federal Institute for Manufacturing Innovation focused on photonics. Louise continued to spearhead the region’s application as the competition entered the final stages. 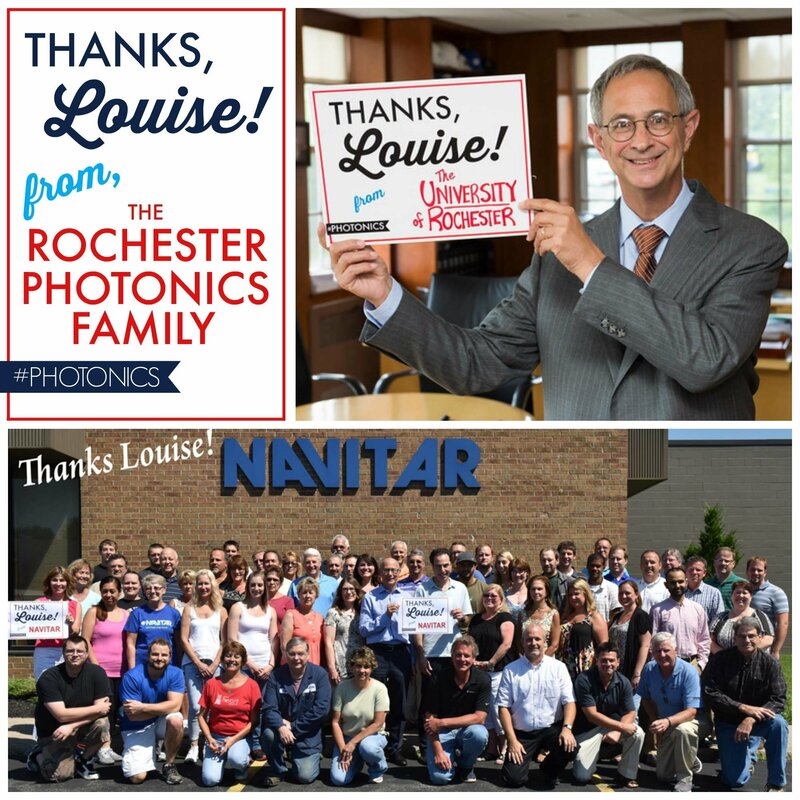 July 2015 – After more than three years of hard work and advocacy by Louise, Rochester was chosen as the site for the National Photonics Institute.